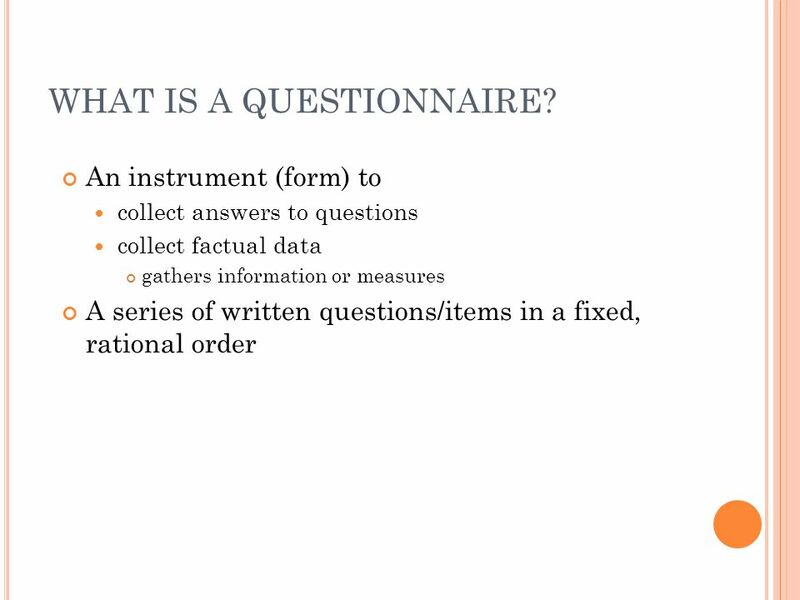 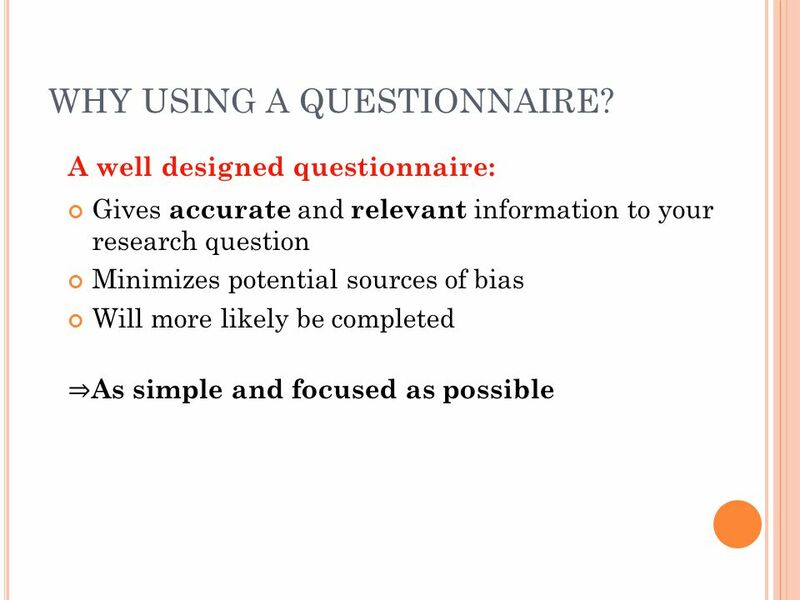 3 WHAT IS A QUESTIONNAIRE? 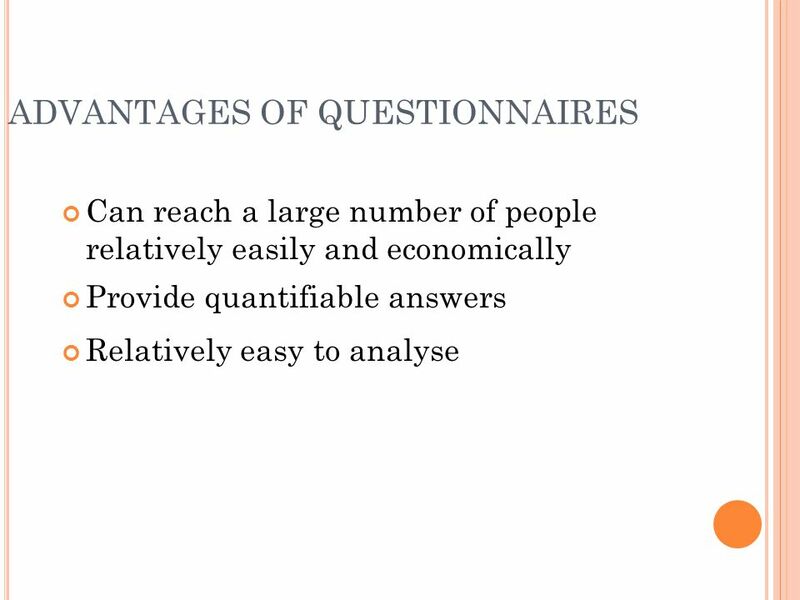 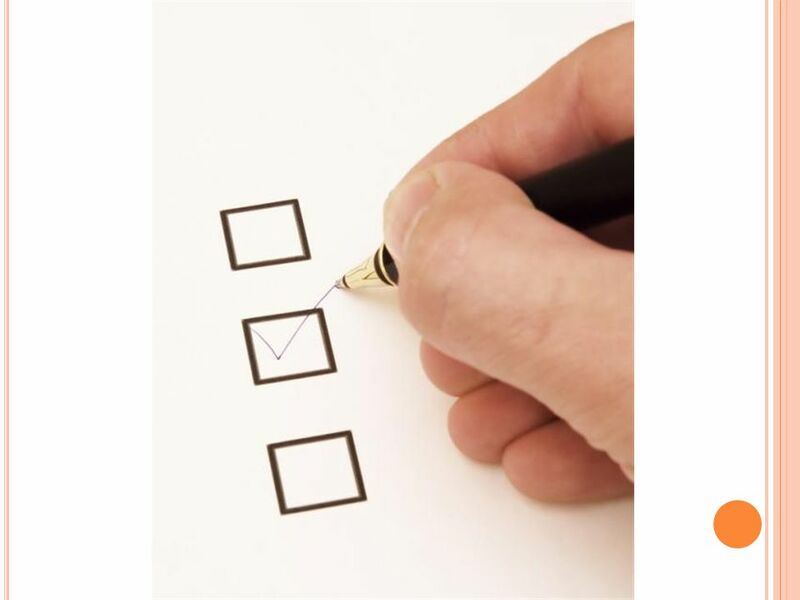 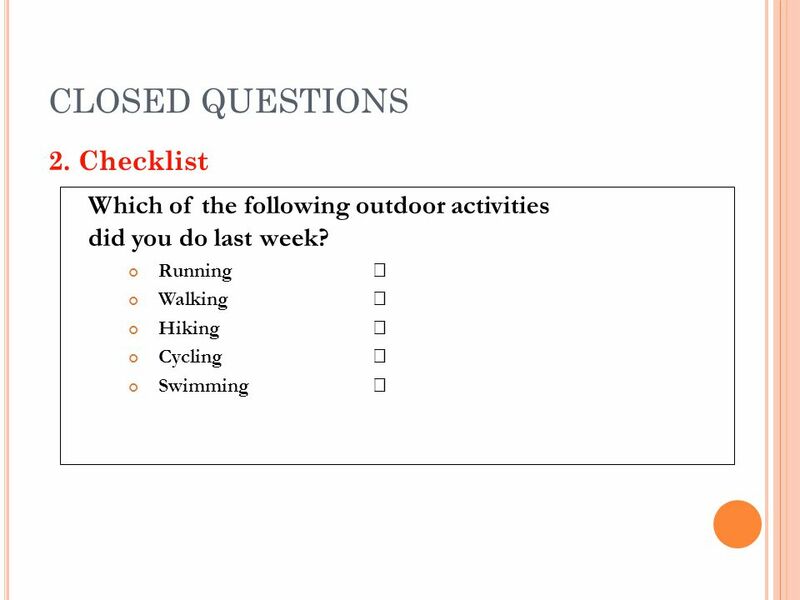 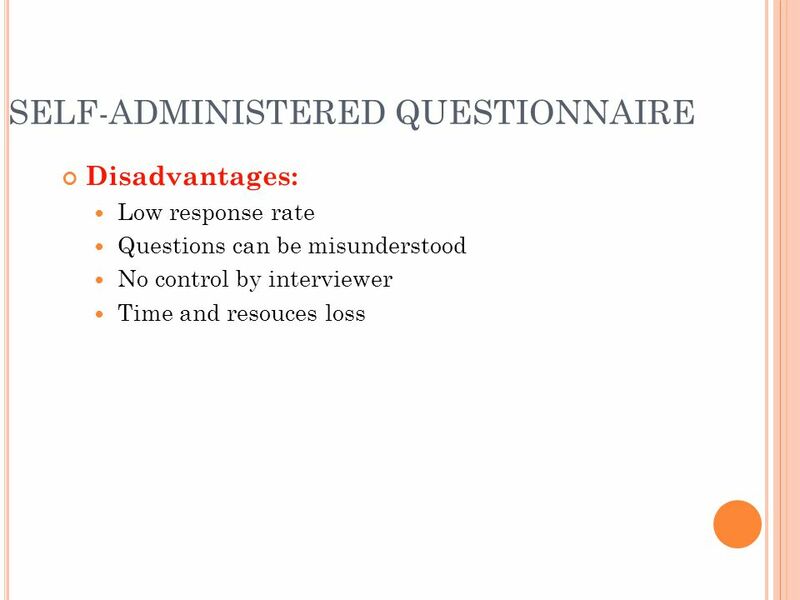 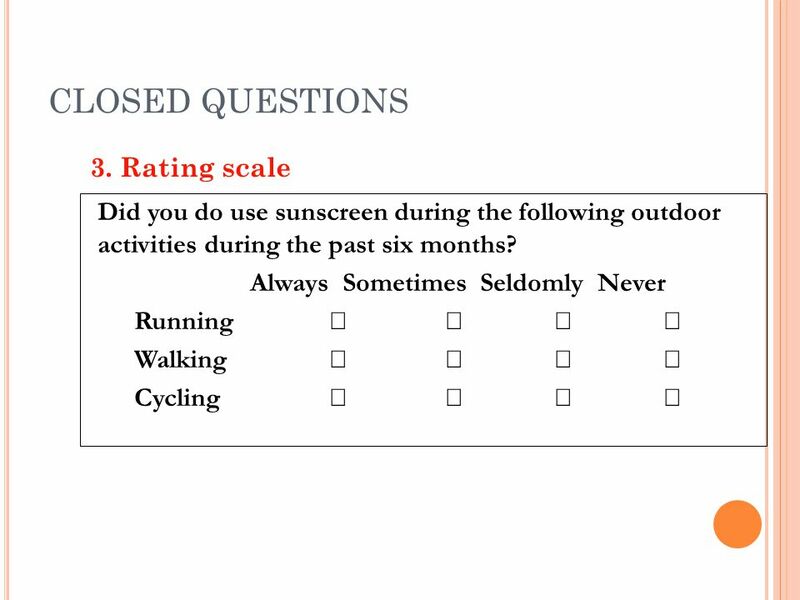 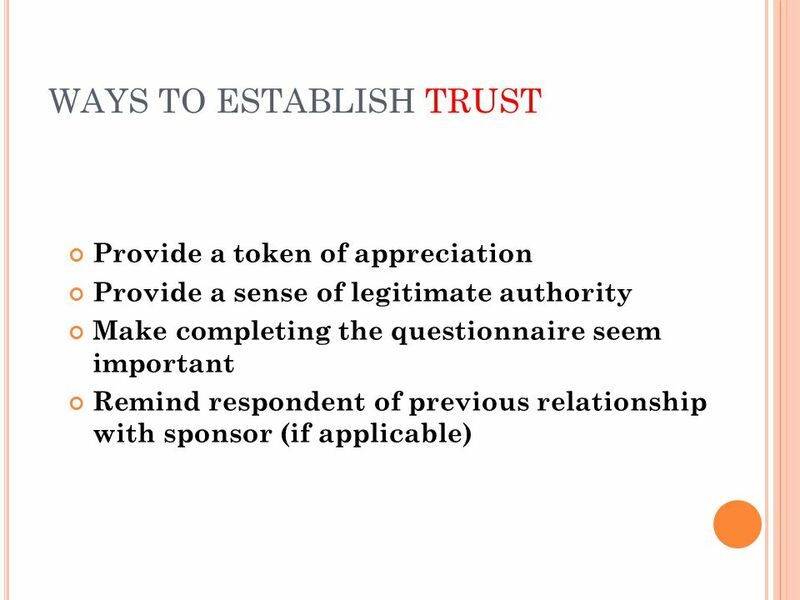 4 WHY USING A QUESTIONNAIRE? 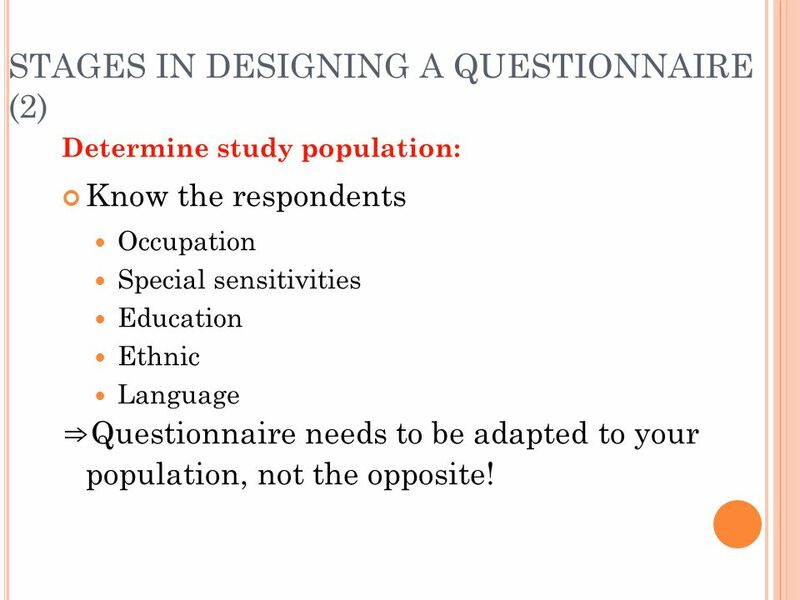 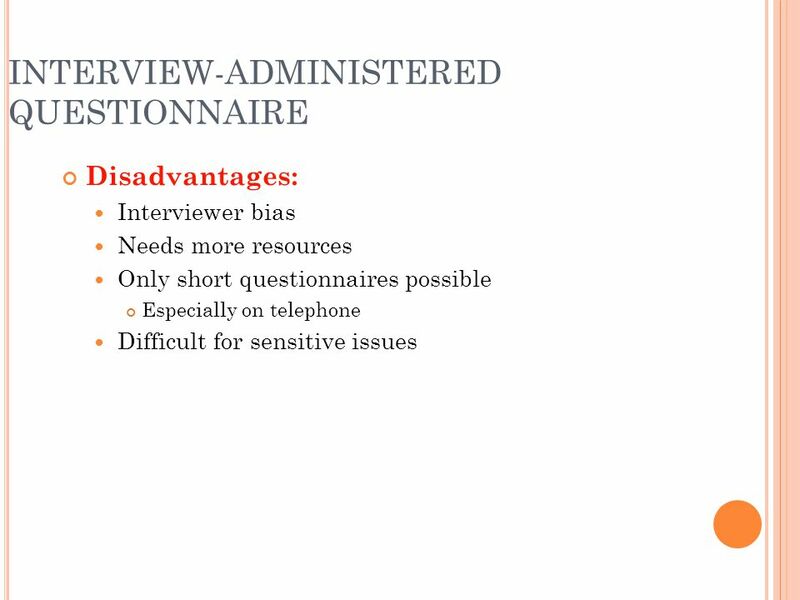 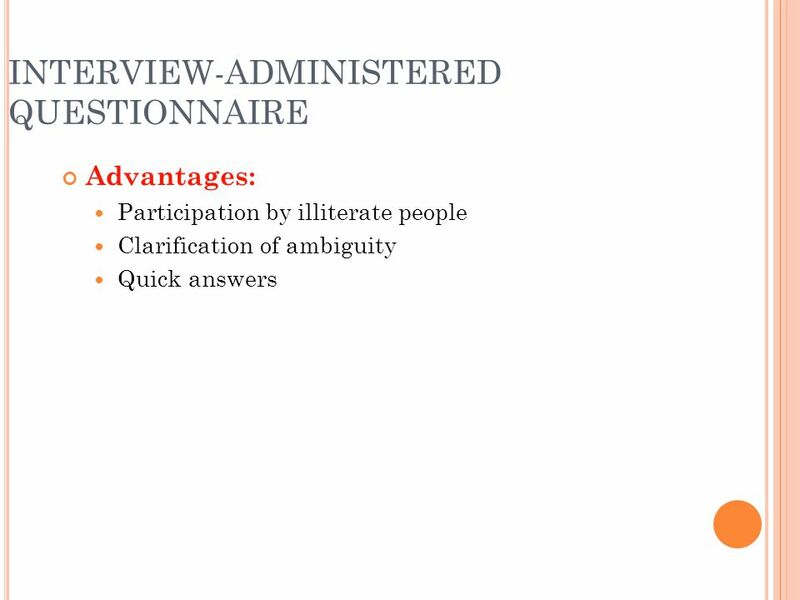 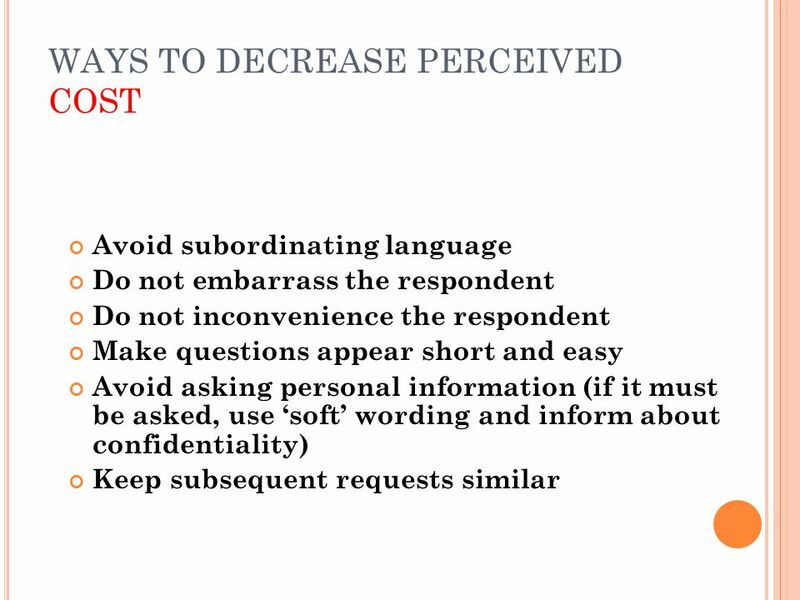 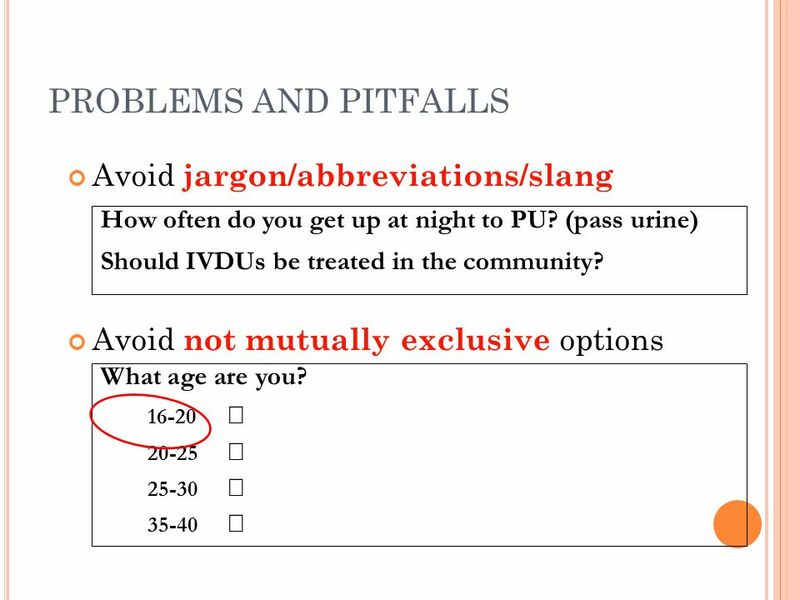 Determine study population: Know the respondents Occupation Special sensitivities Education Ethnic Language ⇒Questionnaire needs to be adapted to your population, not the opposite! 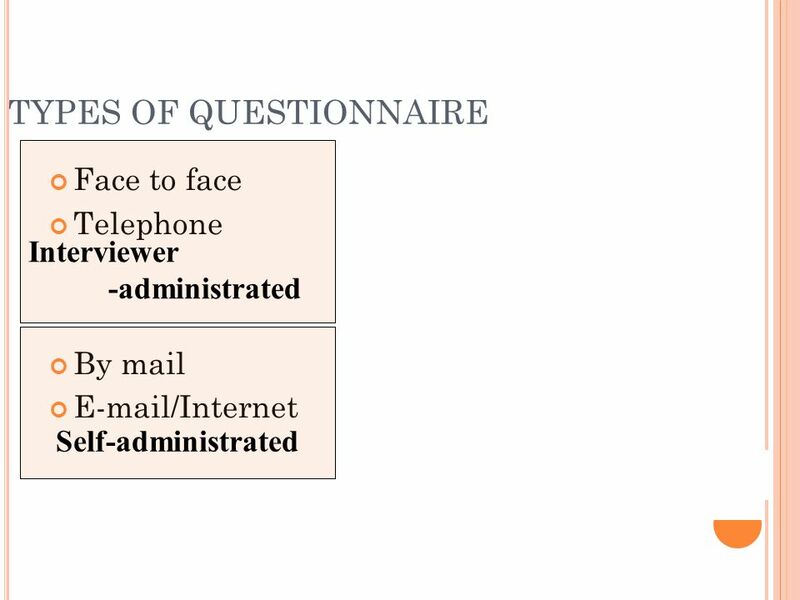 19 WHAT DO YOU PREFER? 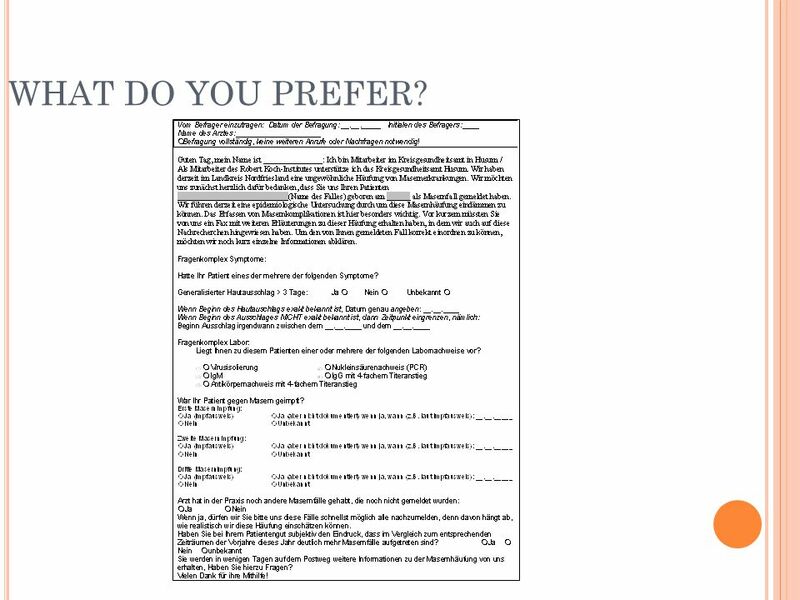 20 WHAT DO YOU PREFER? 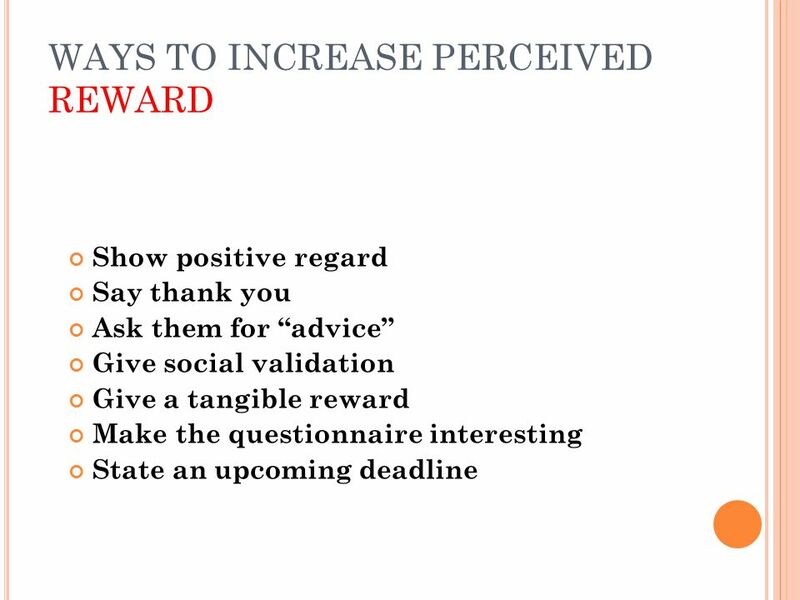 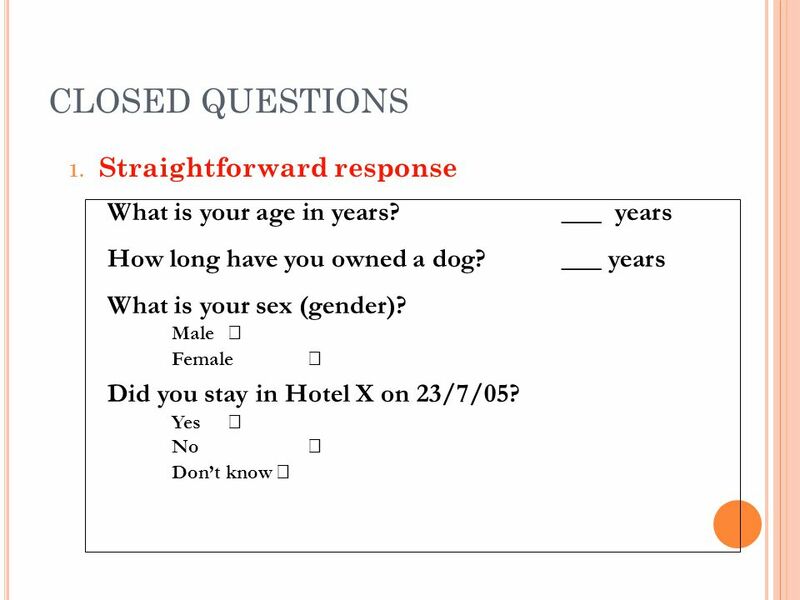 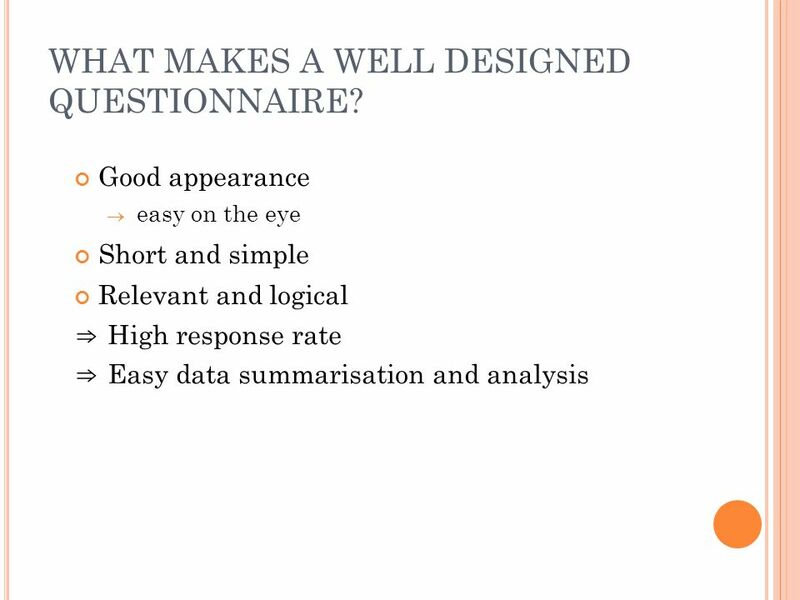 21 WHAT MAKES A WELL DESIGNED QUESTIONNAIRE? 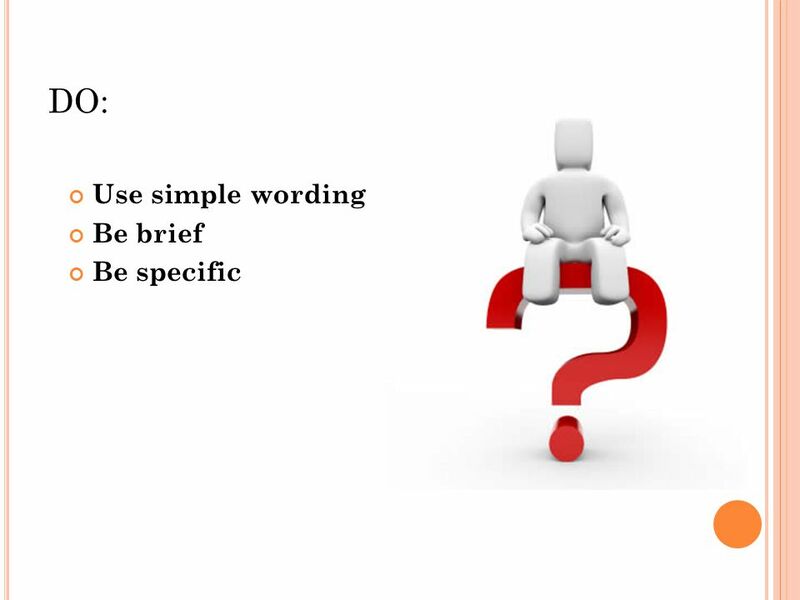 Easy  difficult General  particular Factual  abstract Where to place sensitive questions? 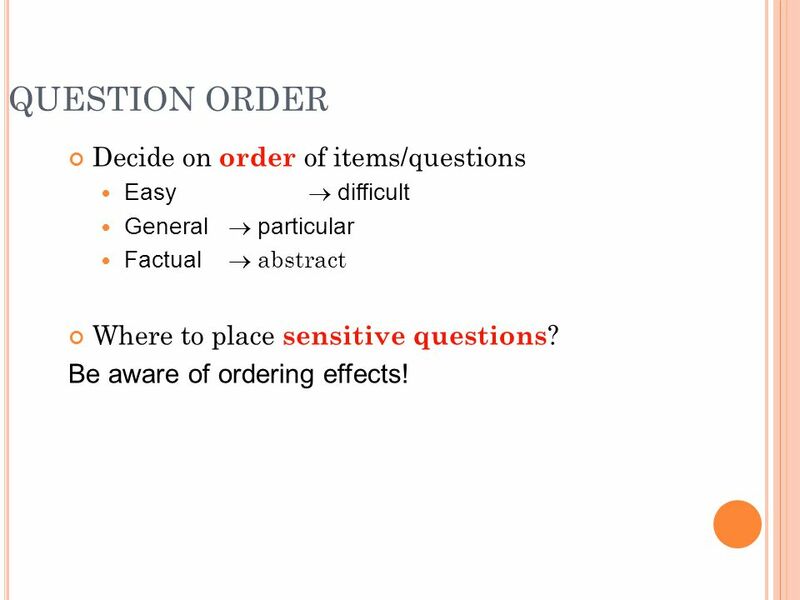 Be aware of ordering effects! 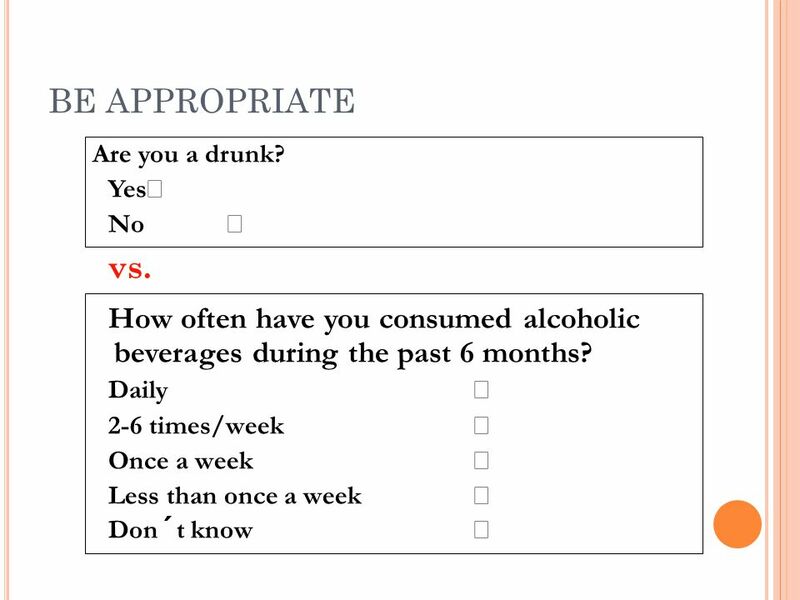 33 Vs. BE OBJECTIVE Which beverage did you consume? 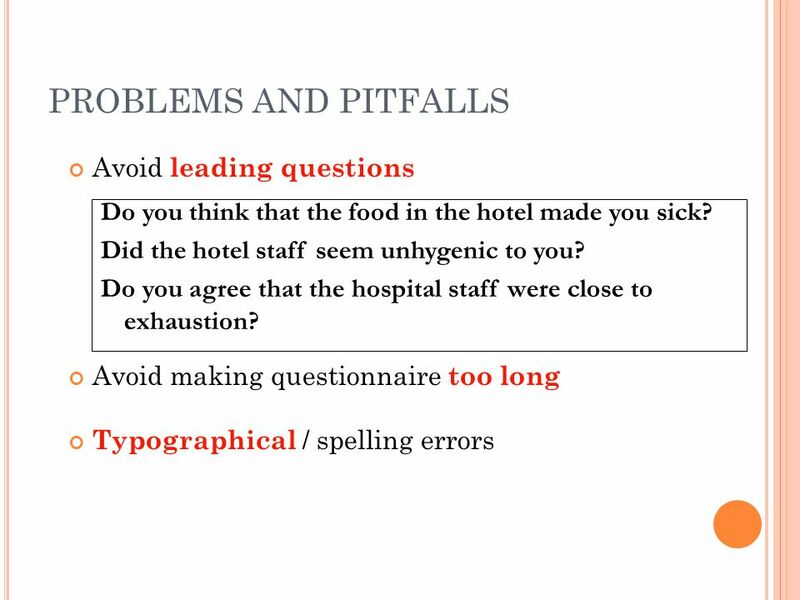 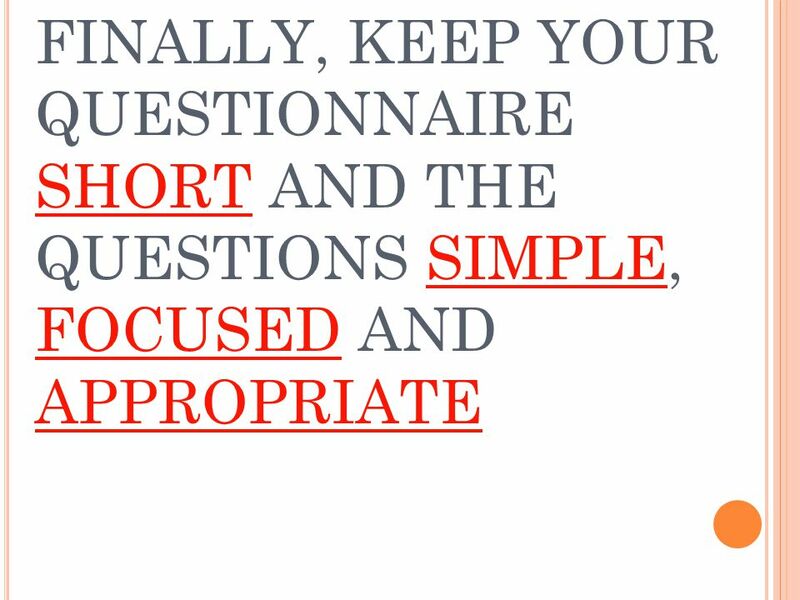 48 PROBLEMS AND PITFALLS Avoid questions that ask two things at once - you won’t know which ‘bit’ people are answering: Have you ever had stomach ache and diarrhoea? 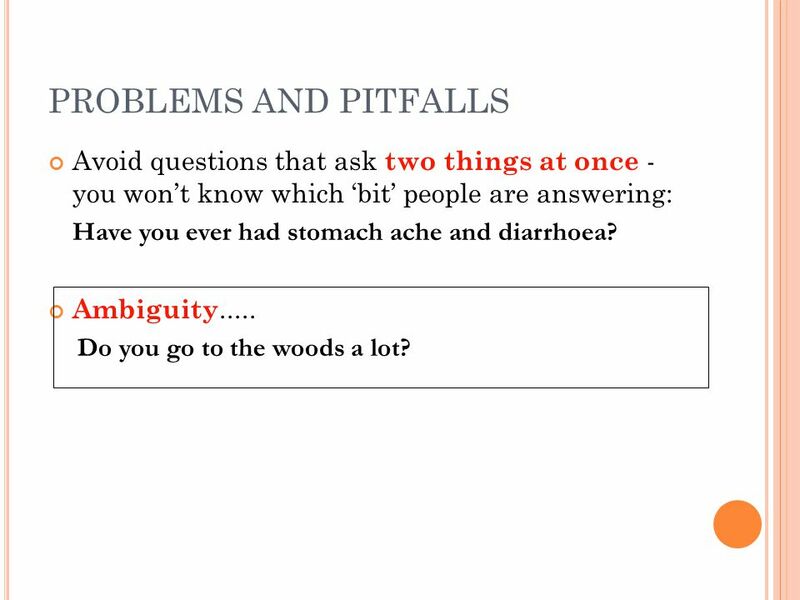 Ambiguity..... Do you go to the woods a lot? 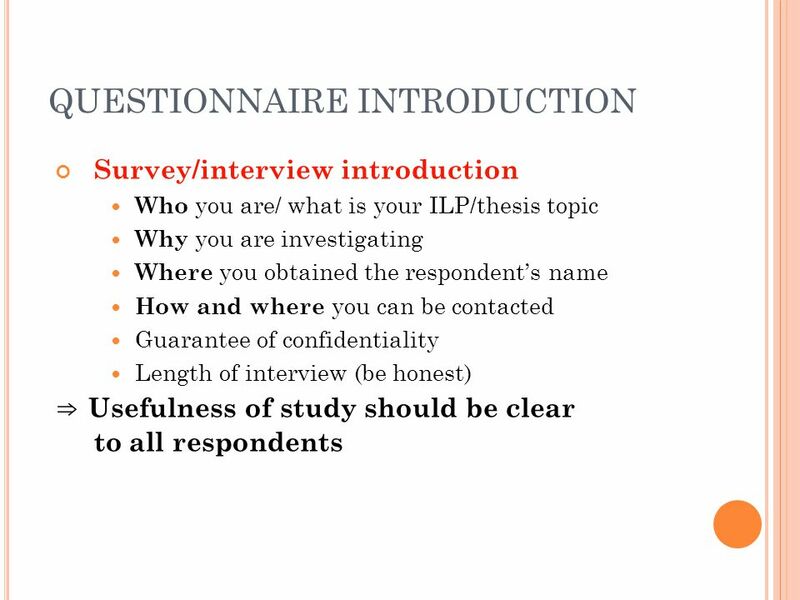 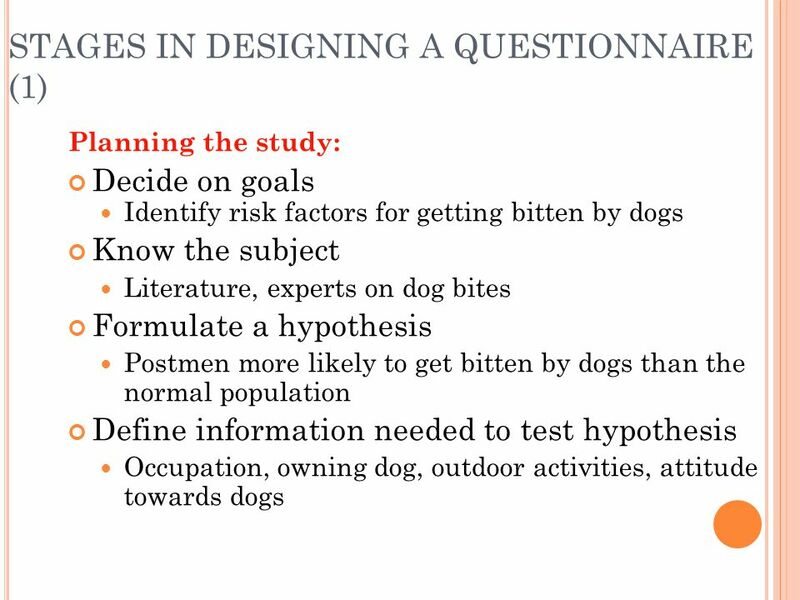 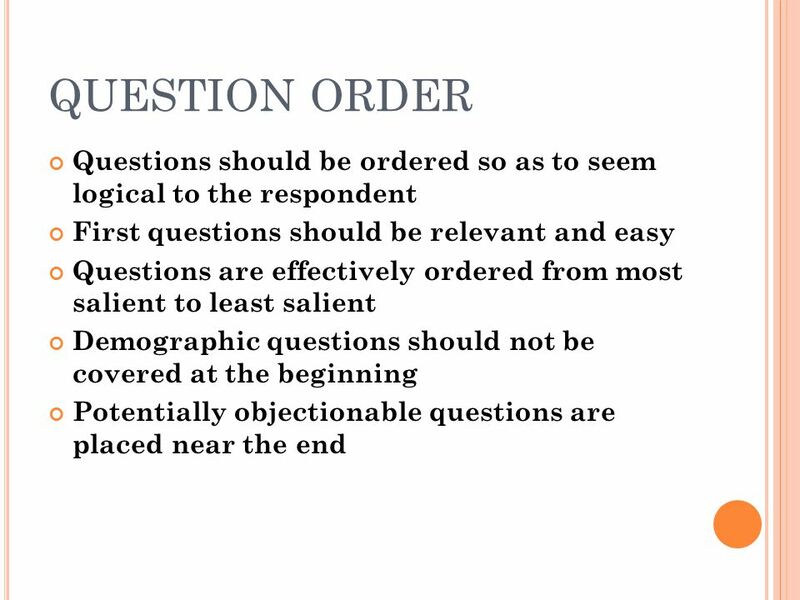 Download ppt "INTRODUCTION TO QUESTIONNAIRE DESIGN"
From analysis plan to data collection Helen Maguire acknowledgements Katharina Alpers, Yvan Hutin. 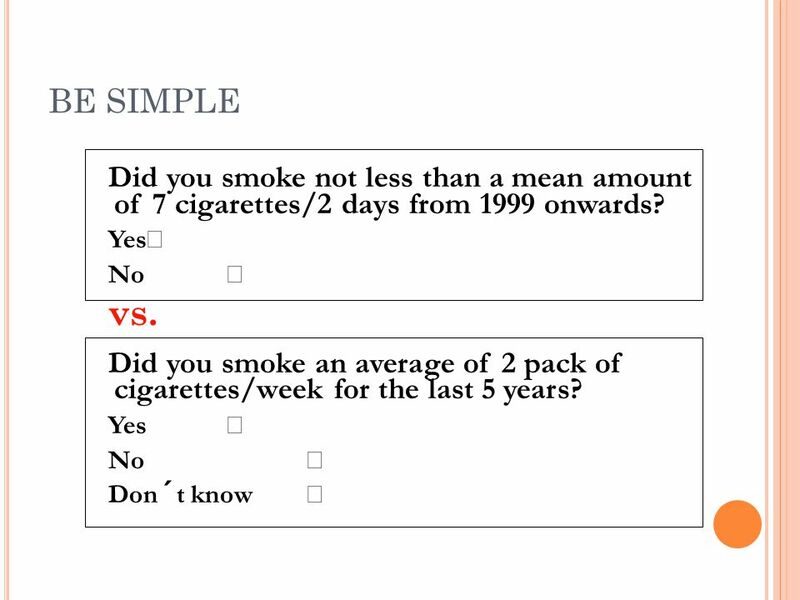 Week 3: Designing a questionnaire. 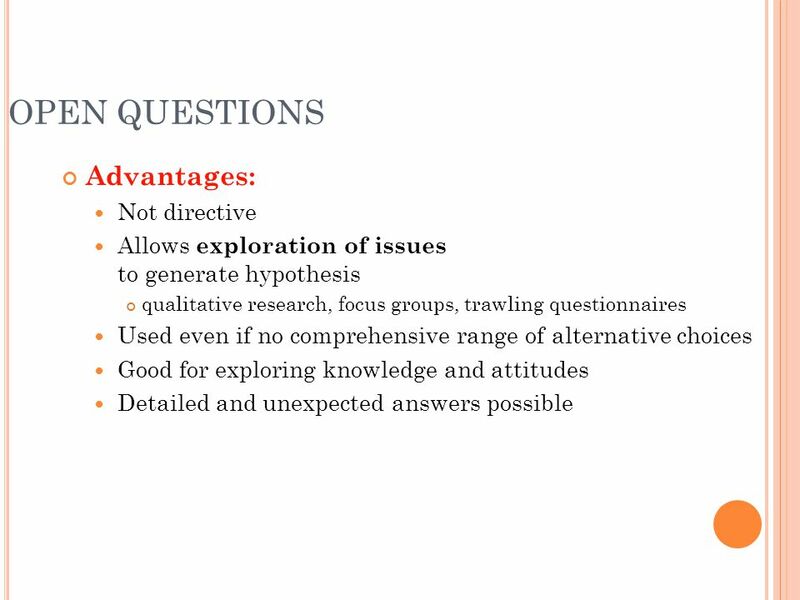  Decided on a subject area  Performed a literature search  Started to think about your research question and hypotheses. 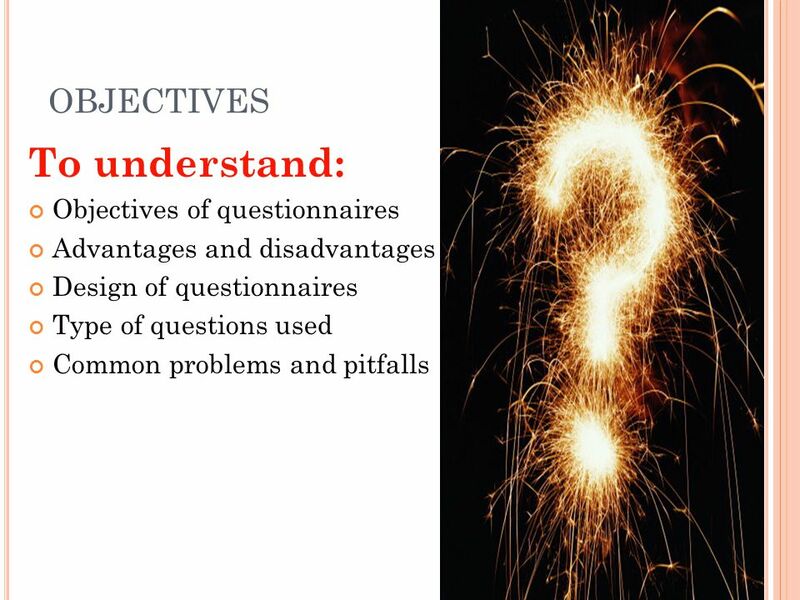 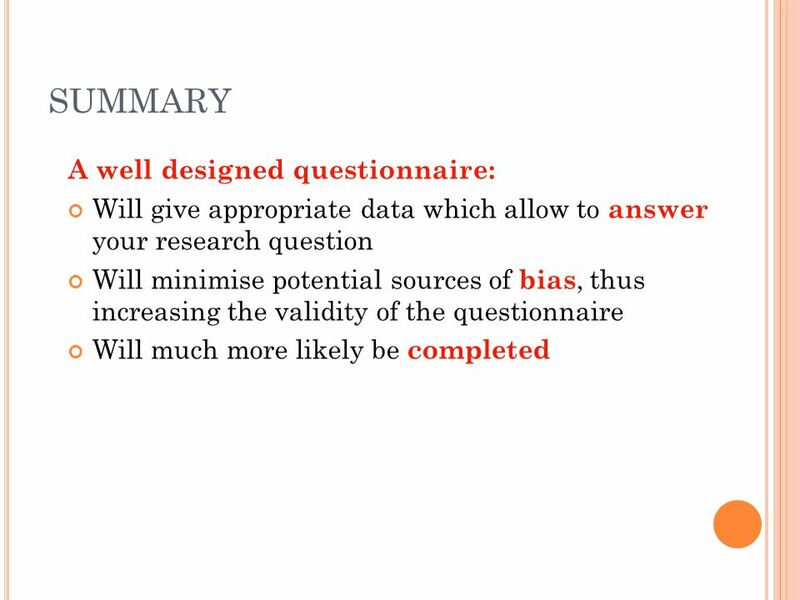 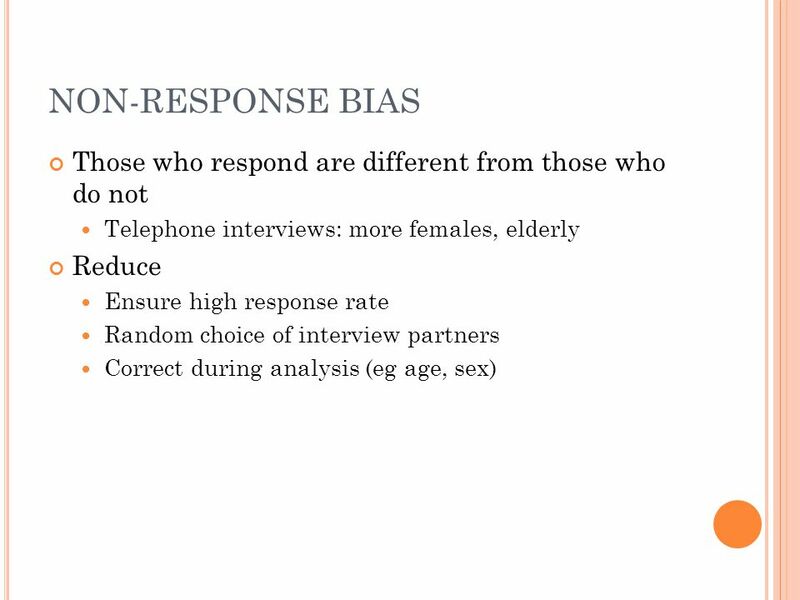 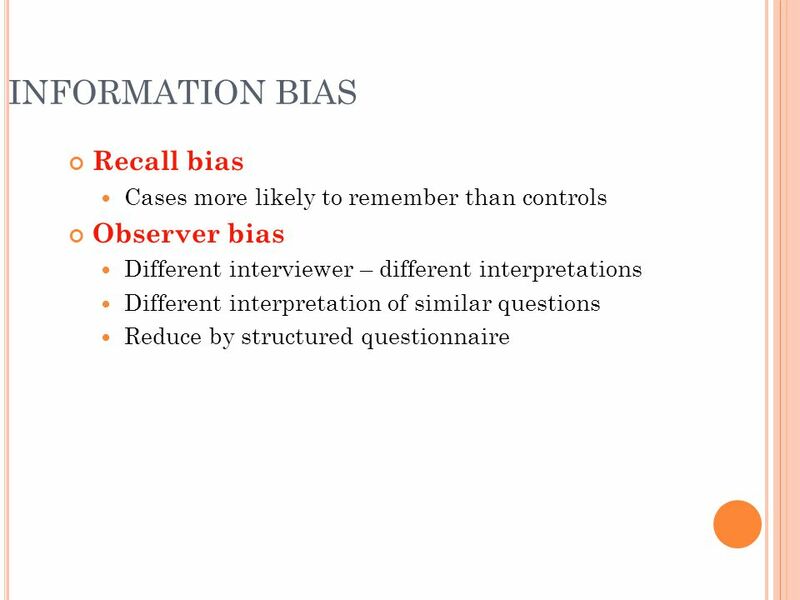 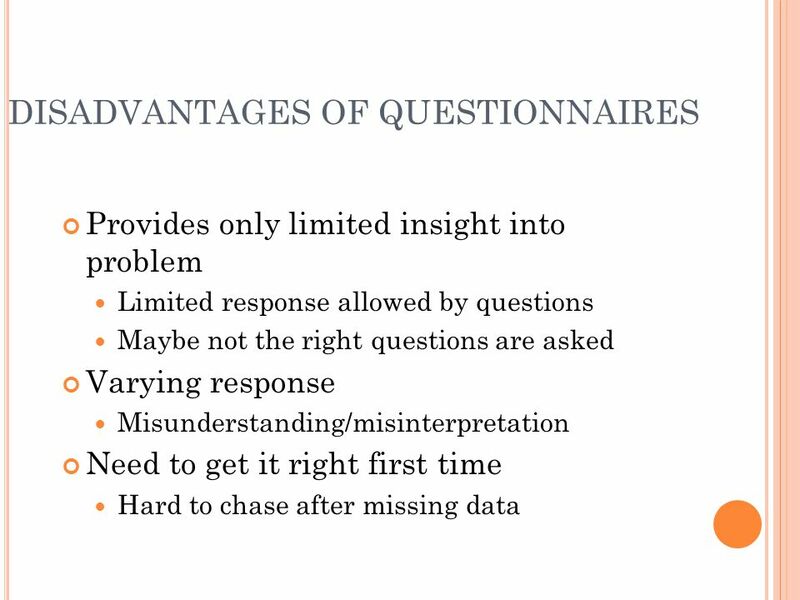 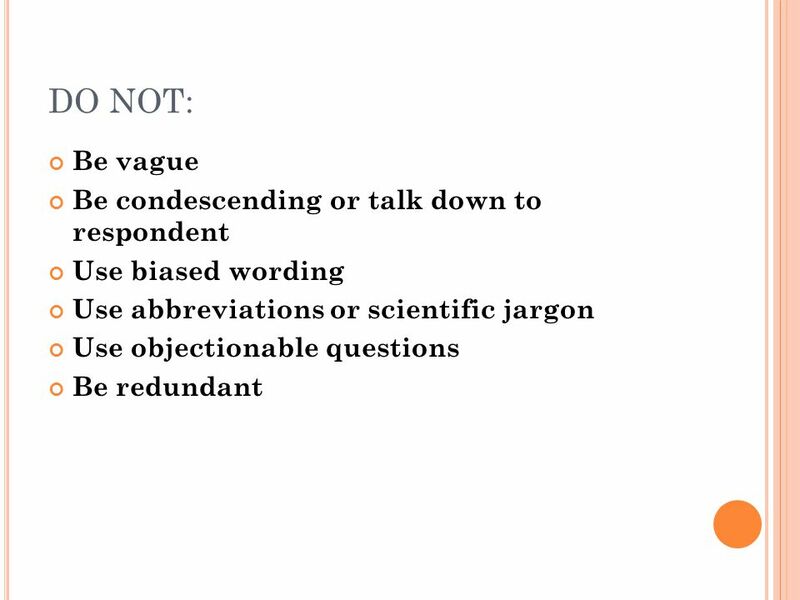 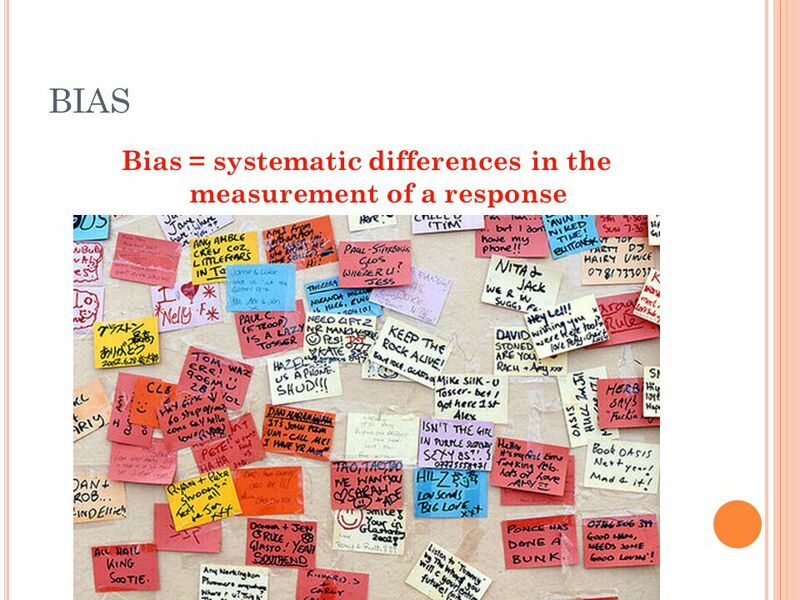 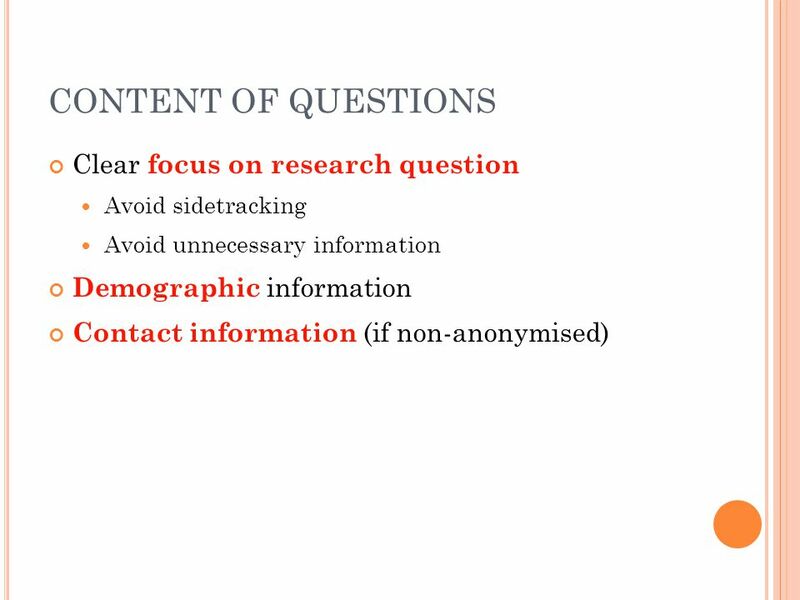 2.06 Understand data-collection methods to evaluate their appropriateness for the research problem/issue. 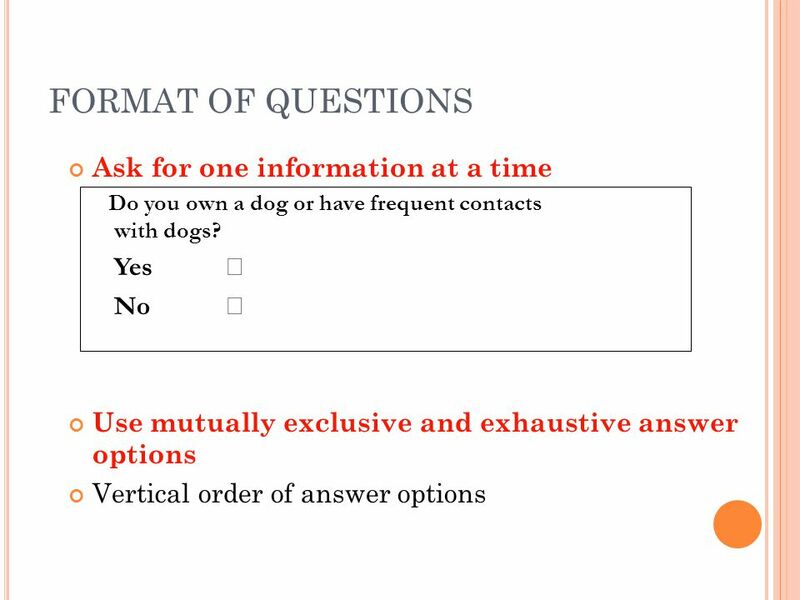 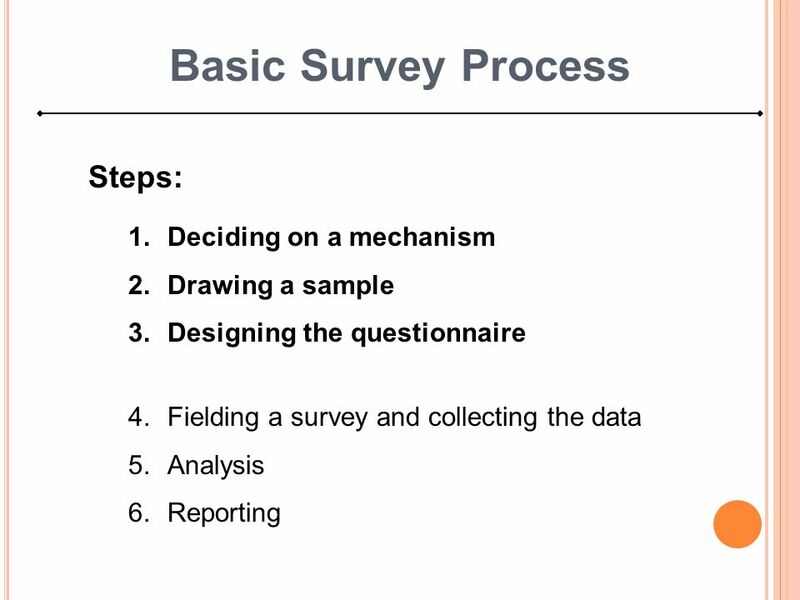 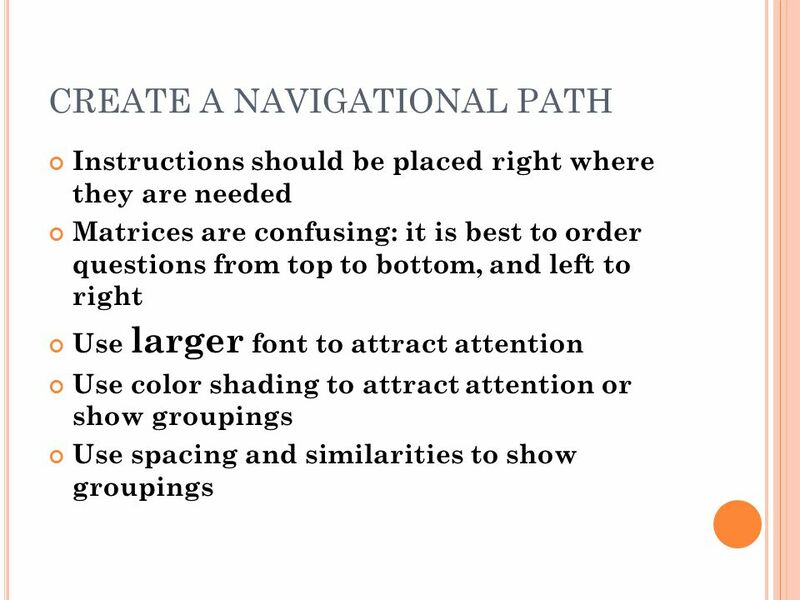 Primary Data Collection Method: Survey Design. 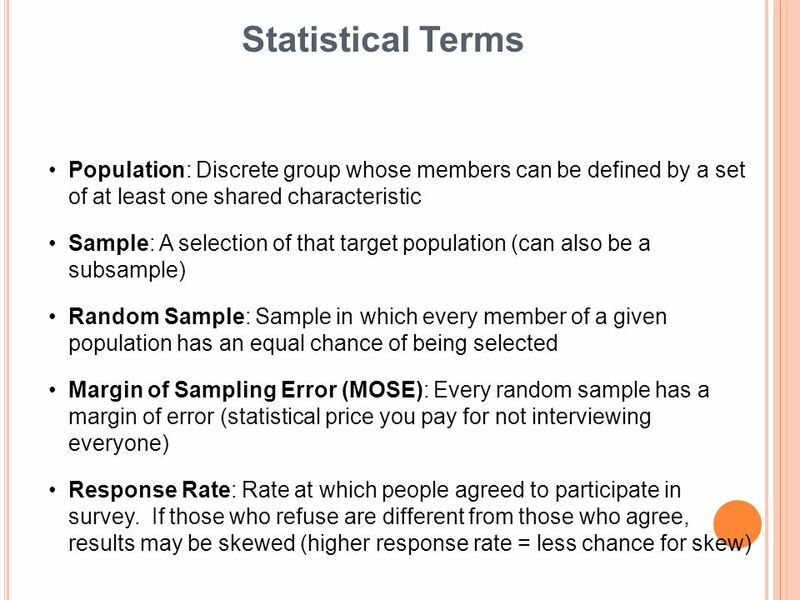 Primary Data Collection Primary data collection is necessary when a researcher cannot find the data needed. 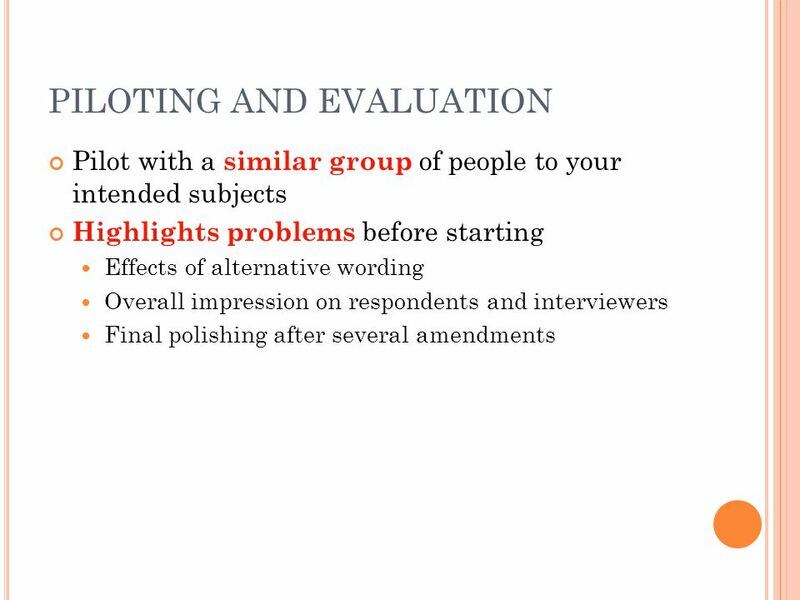 Item Writing Techniques KNR 279. 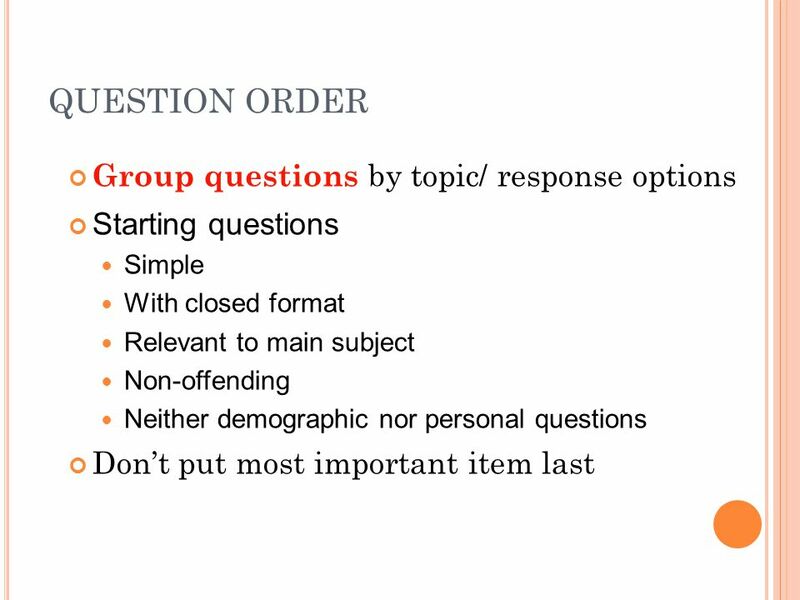 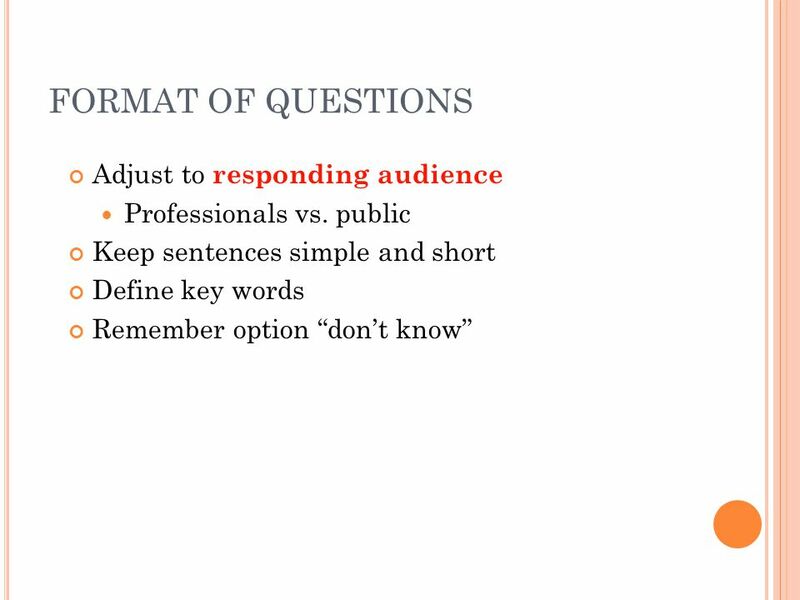 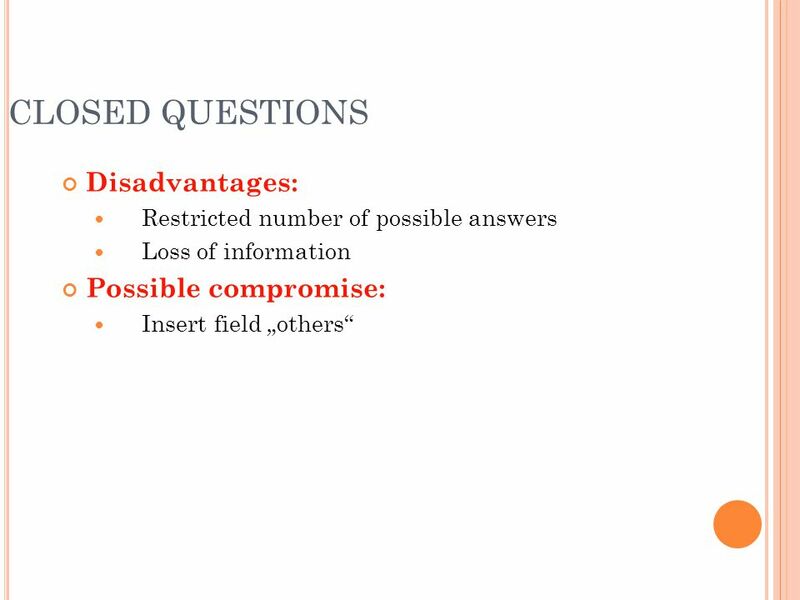 TYPES OF QUESTIONS Closed ended  Checking yes/no, multiple choice, etc. 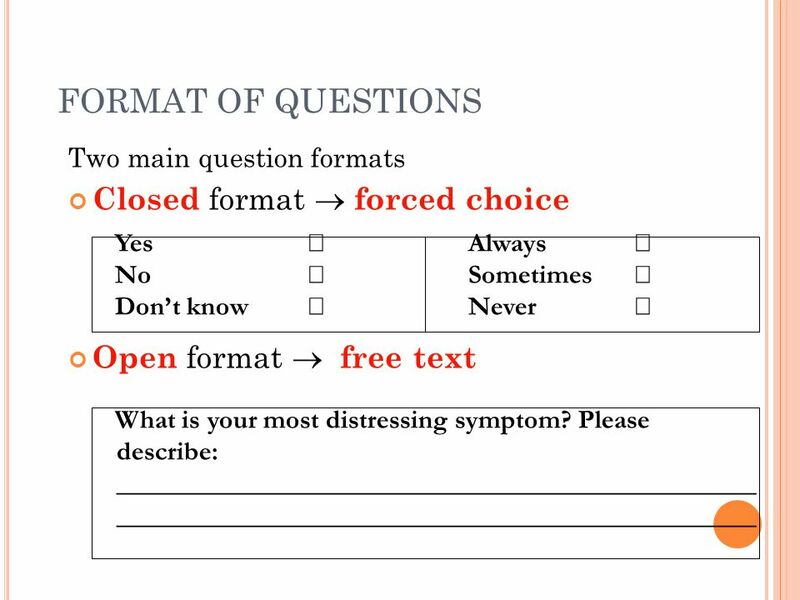  Puts answers in categories  Easy to score. 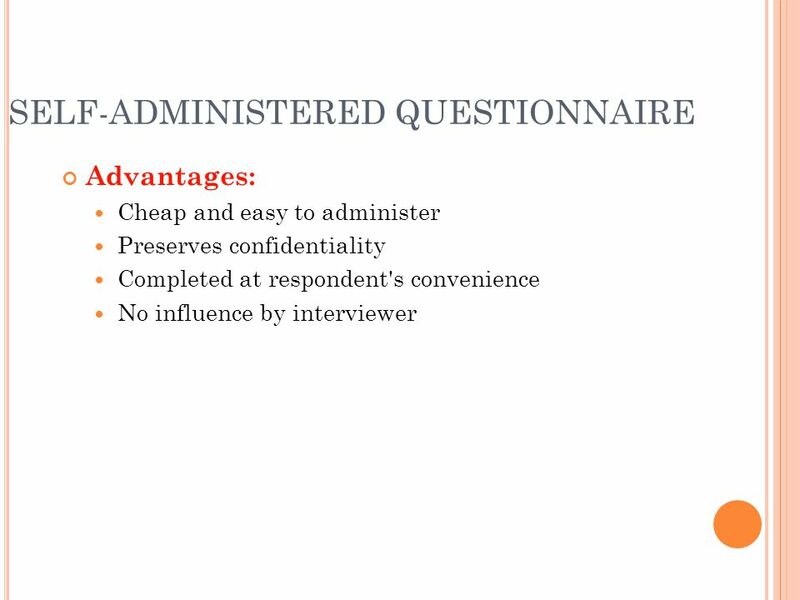 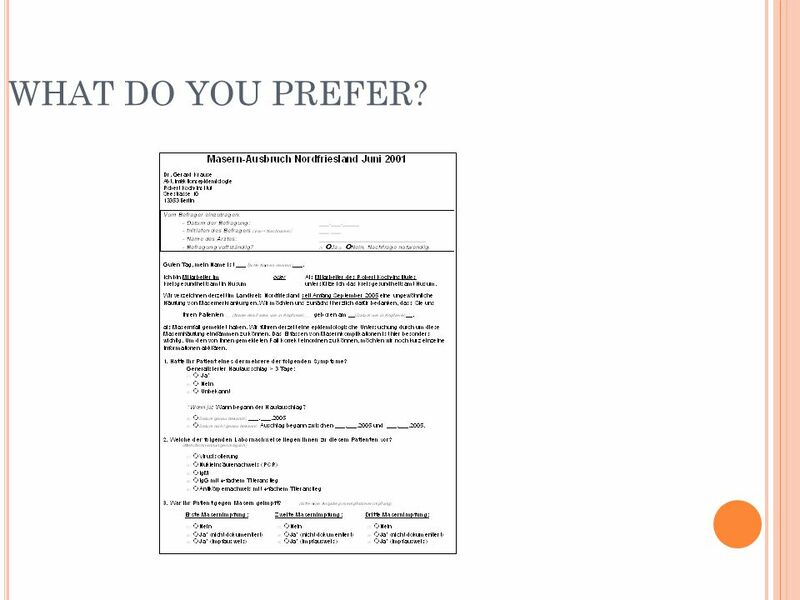 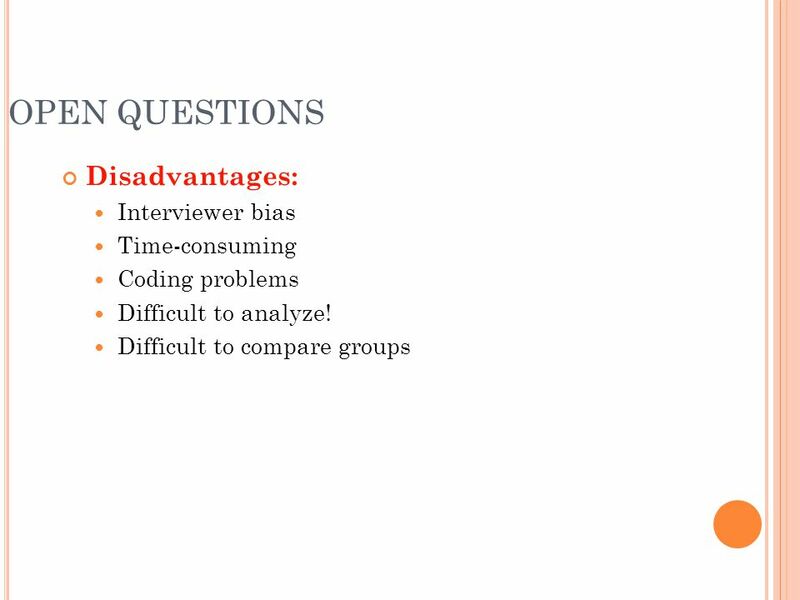 Questionnaire Surveys Obtaining data by asking people questions and recording their answers Obtaining data by asking people questions and recording their. 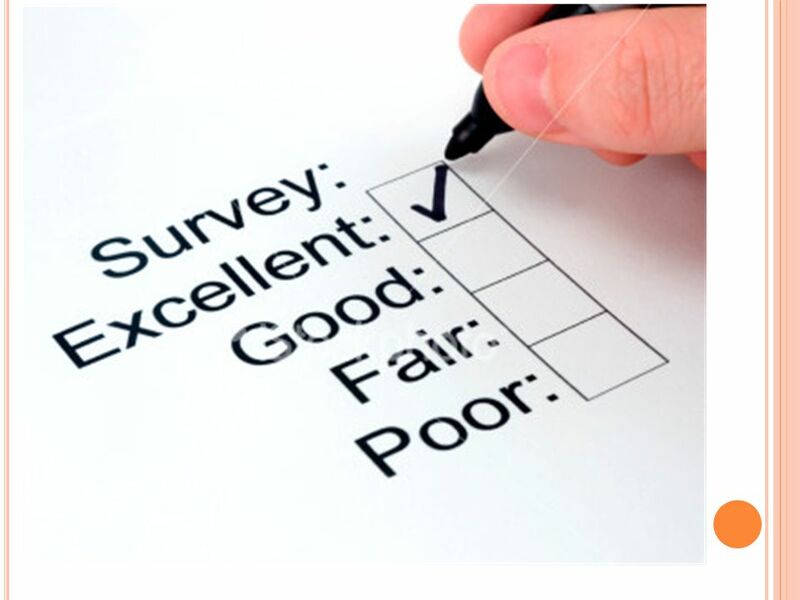 COLLECTING DATA ON A SAMPLE OF RESPONDENTS Designing survey instruments. 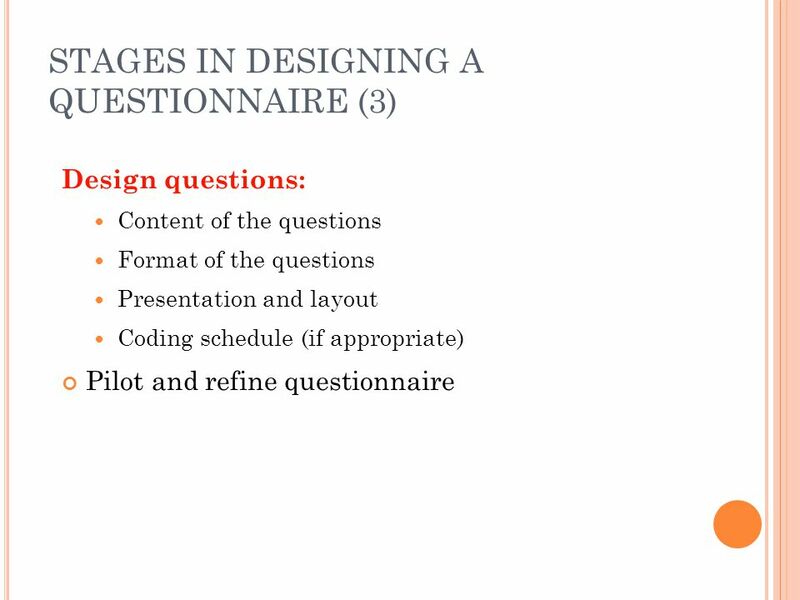 Week 3: Questionnaire Design. 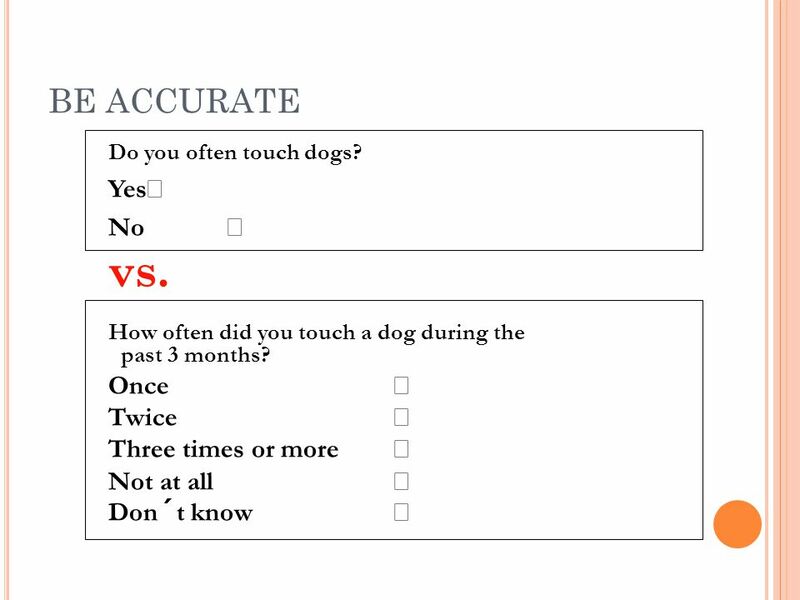 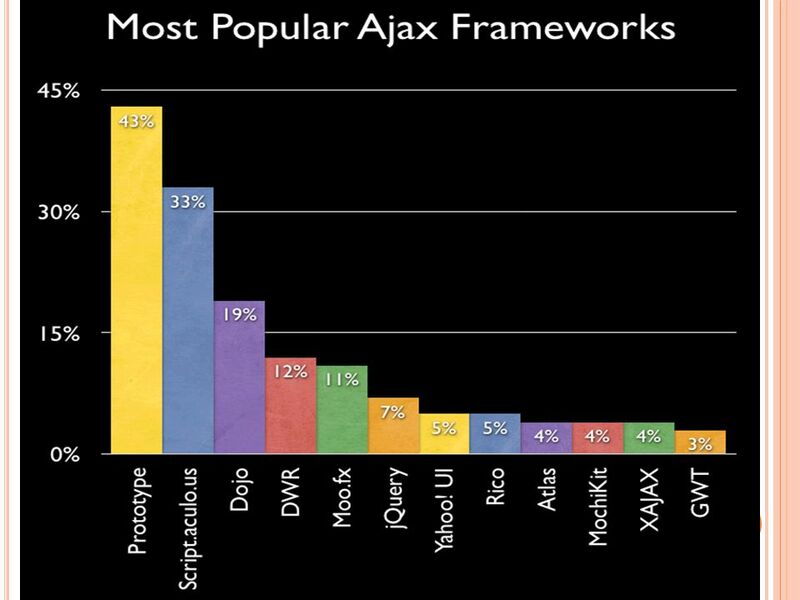  We went through the research process ◦ Original Article vs. 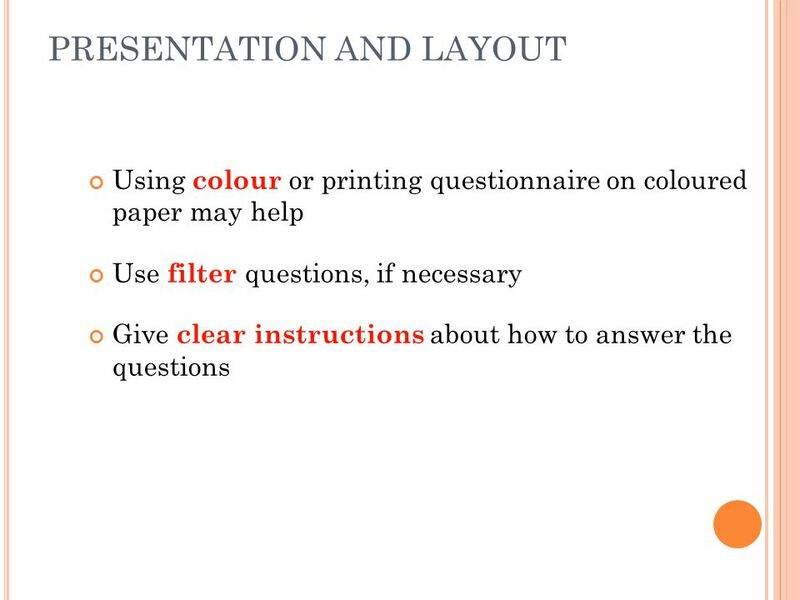 Secondary source ◦ How to find and read a paper ◦ Scientific. 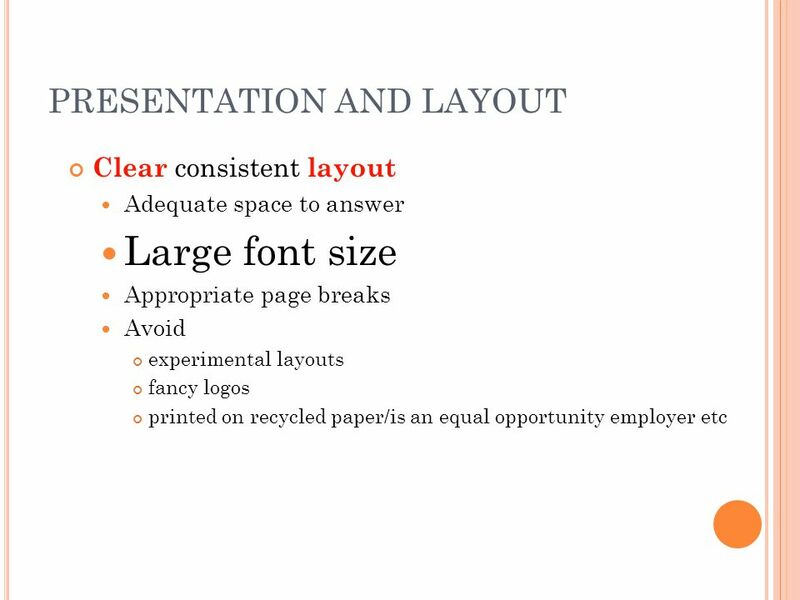 © 2005 The McGraw-Hill Companies, Inc., All Rights Reserved. 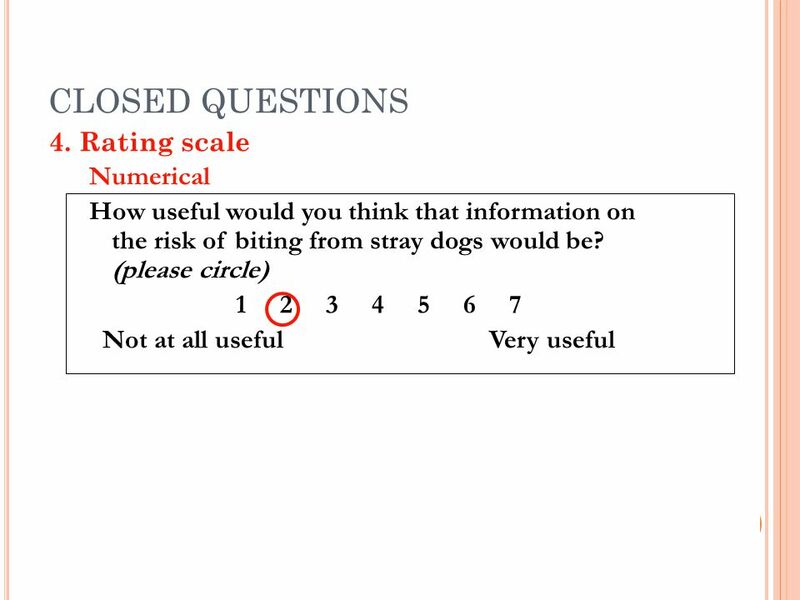 Chapter 8 Using Survey Research. 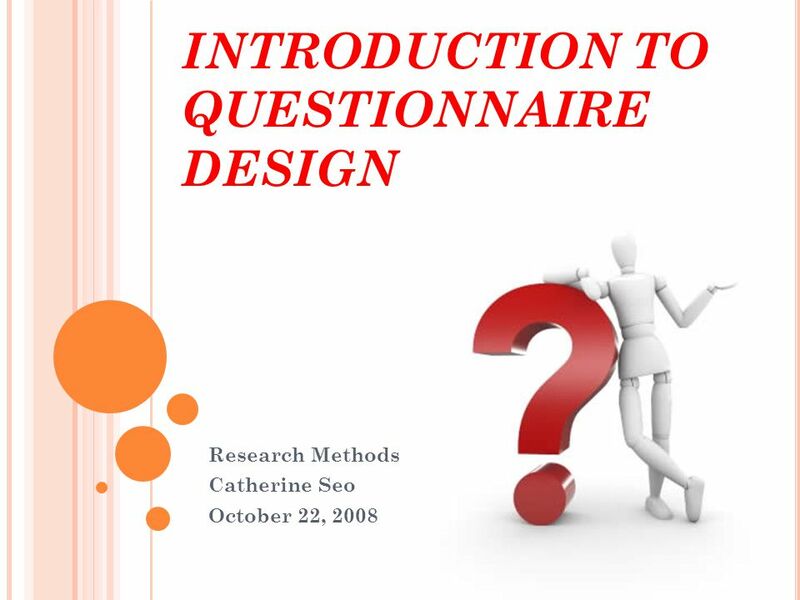 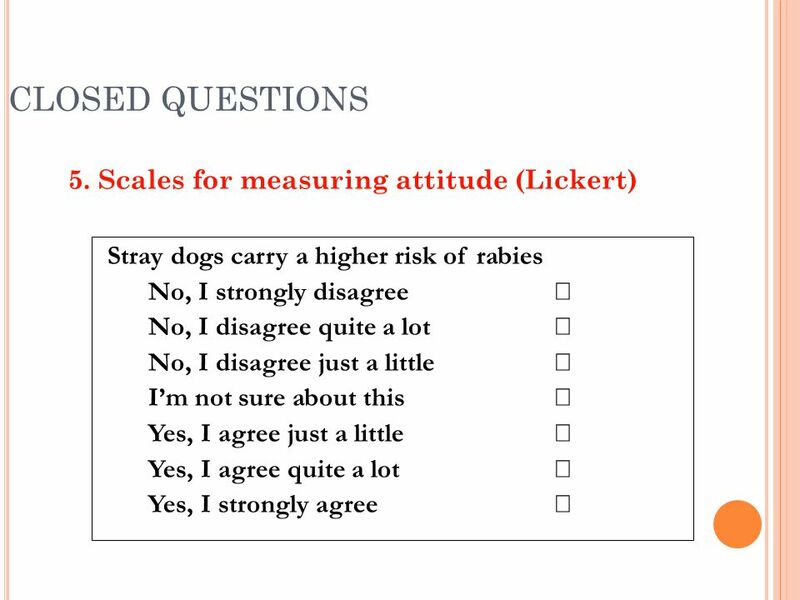 1 Questionnaire Design P McKeown EPIET Introductory Course 2003 VERYIER DU LAC, FRANCE.